One day, for the first time in memory, the phone on the wall rings. What ensues is the weirdest day of their lives. Two Guys In A Box is an original concept by Andrew Cory. 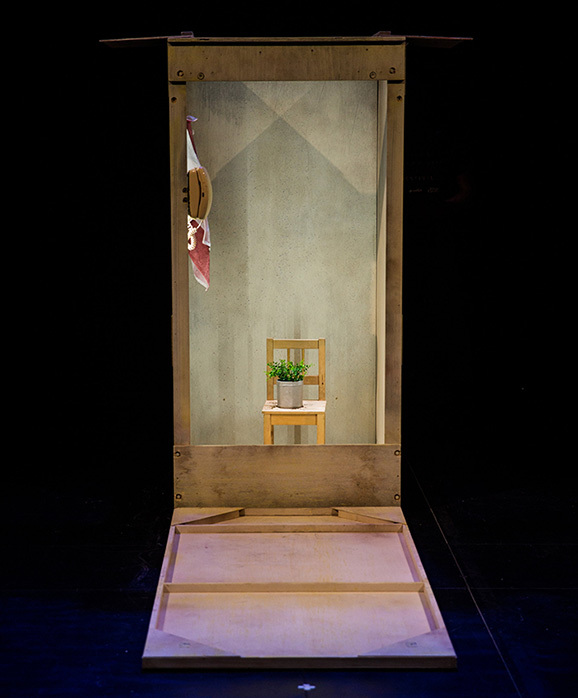 The show is a contemporary absurdist comedy written by Sue Rider and Andrew Cory. The aim of the work is to bring together highly visual clowning with a text that explores the human predicament of learning to live in an unpredictable universe. The show began its life as a successful application to the 2017 Queensland Theatre’s Independents Program. This inaugural program funded the script development of the project including two weeks’ creative development. The creative team are some of Queensland’s best theatre makers, including Sean Mee, Josh McIntosh, Ben Hughes and Leon Cain. The strength of the concept and the calibre of the artists involved gained the attention of the Brisbane Festival which programmed the work as a world premiere in its Theatre Republic program. 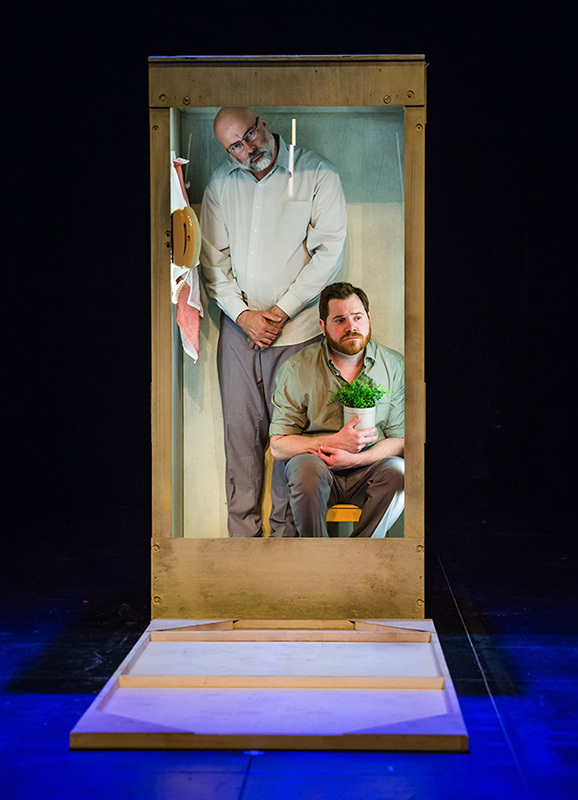 Two Guys In A Box went on to become one of the most successful shows in Theatre Republic achieving a 90% box office over 5 nights. The work will receive further development in 2018 in preparation for national touring in 2019. For touring enquiries please contact info@dogspoon.com.au, we have a detailed tour pack to answer all your questions.